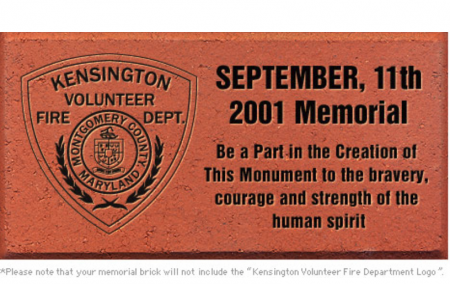 Become a part of history by purchasing a brick showing your support of this Monument to the American spirit. 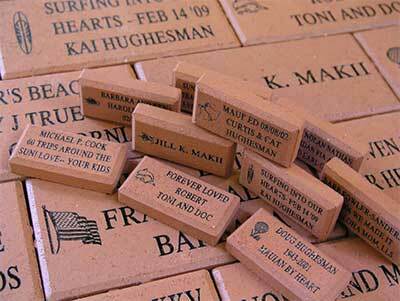 Bricks may be purchased in your family name, in honor or memory of a loved one, or to honor those that perished on 9/11. Your tax deductible donation of $100.00 provides you with a 4”x8” clay brick on which the dedication of your choice will be laser inscribed and installed on the Monument’s walkway for posterity. Email weirtjr@kvfd.org with any questions.